Set of fully ADA compliant tactile restroom signs with braille. These signs measure 6" x 9" with rounded corners and adhesive backing. ADA Sign Vertical 18" x 3"
Set of fully ADA compliant tactile restroom signs with braille. These signs measure 6" x 9" with rounded corners and adhesive backing. The set includes two signs, one for Men and one for Women. 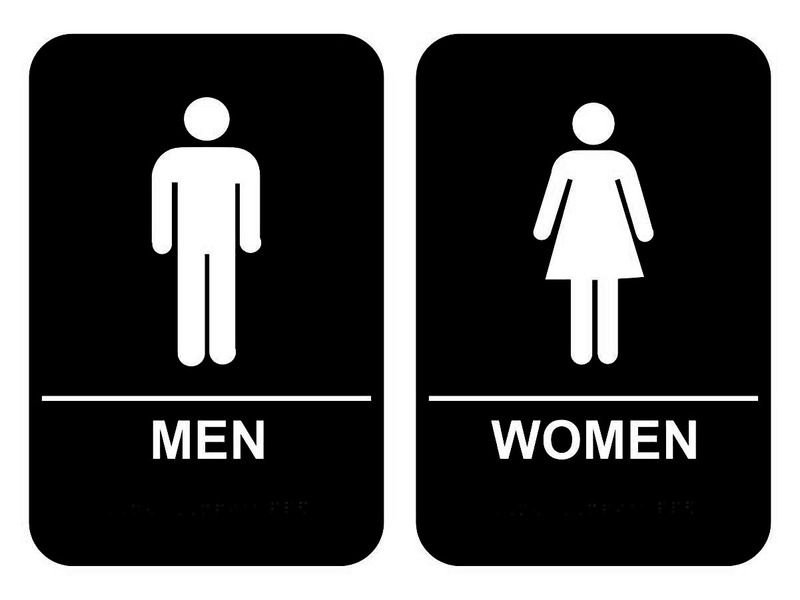 Each sign features a pictogram and gender specification. Standard black restrooms signs can seamlessly fit with several types of business decor. Provide directions for employees and clients, including those who are disabled or visually impaired.